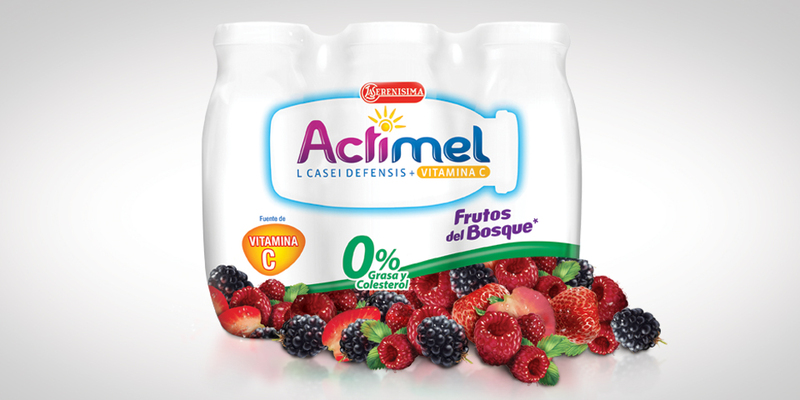 Danone trusted us with the redesign of the brand image of Actimel product line. 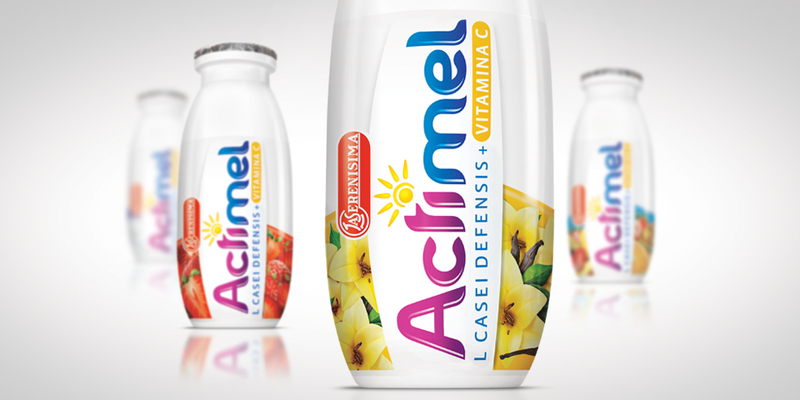 The main objectives were the need to upgrade the logo, prioritizing the brand color code, but also, stressing the product tastiness and the addition of vitamin C in its formula. 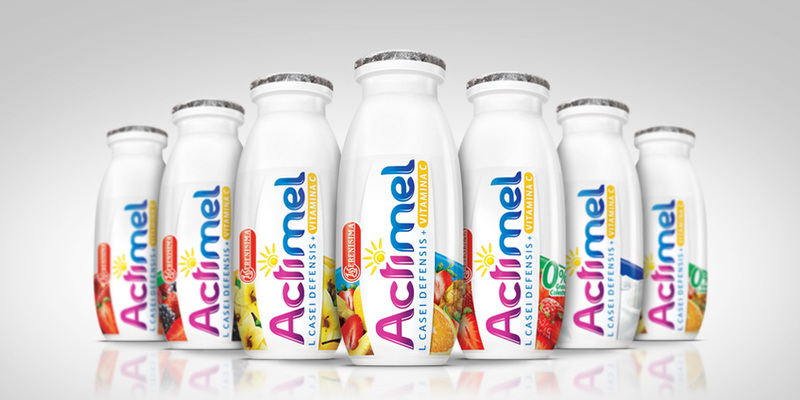 The project development included all the current flavors (multifruit, 0% fat multifruit, strawberry, 0% fat strawberry, natural flavor, berries and vanilla) for the individual pack as well as the six-bottle pack. It paved the way, regarding its graphic design, for future launches because it achieves aesthetic consistency and simplicity in its identification. 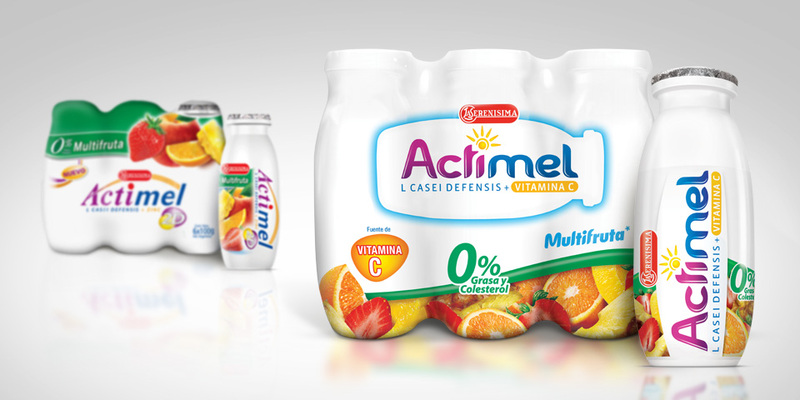 This change implies the start of Actimel repositioning at a national level, and it stresses its basic promise to strengthen the body natural defenses to live a healthier life with strength and enthusiasm.